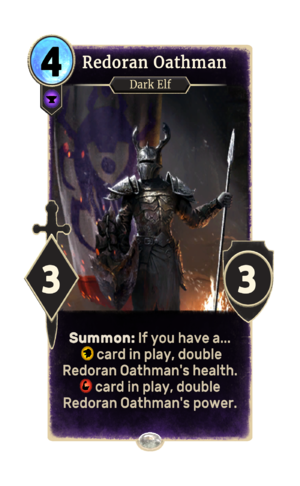 Redoran Oathman is a common Endurance creature card. It is part of the Houses of Morrowind expansion. "For the glory of House Redoran!"